"Lilacs" redirects here. 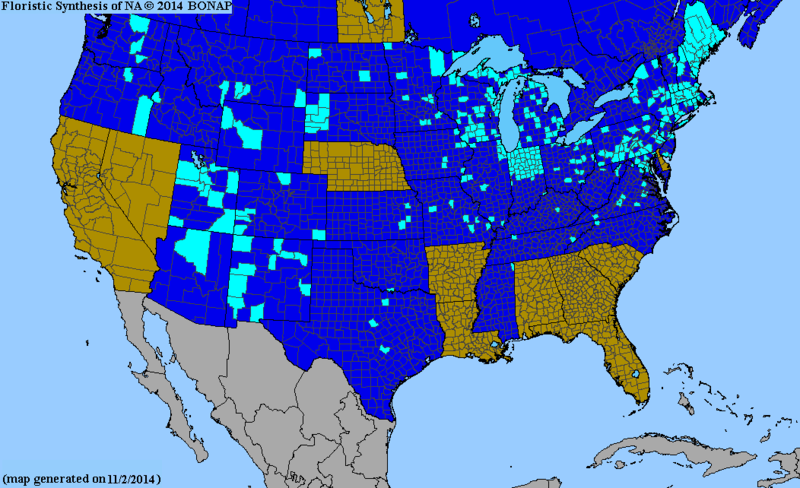 For the bibliographic database, see LILACS. For other uses, see Syringa (disambiguation). The genus is most closely related to Ligustrum (privet), classified with it in Oleaceae tribus Oleeae subtribus Ligustrinae. Lilacs are used as food plants by the larvae of some Lepidoptera species including copper underwing, scalloped oak and Svensson's copper underwing. The genus Syringa was first formally described in 1753 by Carl Linnaeus and the description was published in Species Plantarum. The genus name Syringa is derived from Ancient Greek word syrinx meaning "pipe" or "tube" and refers to the hollow branches of S. vulgaris. The English common name "lilac" is from the French lilac via the Arabic ليلك ("lilak") from Persian نیلک ("nilak") meaning "bluish". In the poem "When Lilacs Last in the Dooryard Bloom'd", by Walt Whitman, lilacs are a reference to Abraham Lincoln. Lilacs as showcased in the Lilac Celebration held each May at the Royal Botanical Gardens near Hamilton, Ontario in Canada. The Arnold Arboretum in Boston, Massachusetts, which celebrates "Lilac Sunday" every May. The Arboretum shows off its collection of over 422 lilac plants, of 194 different varieties. Lilac Sunday is the only day of the year when picnicking is allowed on the grounds of the Arboretum. Lombard, Illinois, called the "Lilac Village", which has an annual lilac festival and parade in May. The village also contains Lilacia Park, a garden with over 200 varieties of lilacs, as well as over 50 kinds of tulips. Mackinac Island, in Michigan, which celebrates a weeklong lilac festival and lilac parade each June. 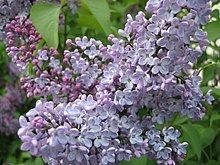 Rochester, New York, which has held its Lilac Festival since 1898, hosts the longest-running festival in North America. Held in Highland Park, this celebration features 1,200 shrubs, representing over 500 varieties, many of which were developed in Rochester. It is the largest collection of varieties at any single place. The Royal Botanical Gardens near Hamilton, Ontario, which holds its Lilac Celebration each May. Spokane, Washington, known as the "Lilac City", which holds an annual lilac festival and lilac parade. Franktown, Ontario, Canada, holds an annual festival. 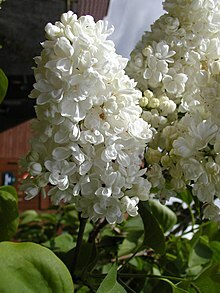 ^ a b c d "Syringa". World Checklist of Selected Plant Families (WCSP). Royal Botanic Gardens, Kew. Retrieved 2 July 2016. ^ Linnaeus, Carl (1 May 1753). Species Plantarum. London. p. 9. Retrieved 1 July 2016. ^ Jensen, Bo. "Lilac (Syringa vulgaris)". Bo Jensen:Essential Oils. Retrieved 1 July 2016. ^ "Franktown Lilac Festival". Lanark County Tourism. Retrieved 8 July 2012. Wikimedia Commons has media related to Syringa. Look up lilac in Wiktionary, the free dictionary.